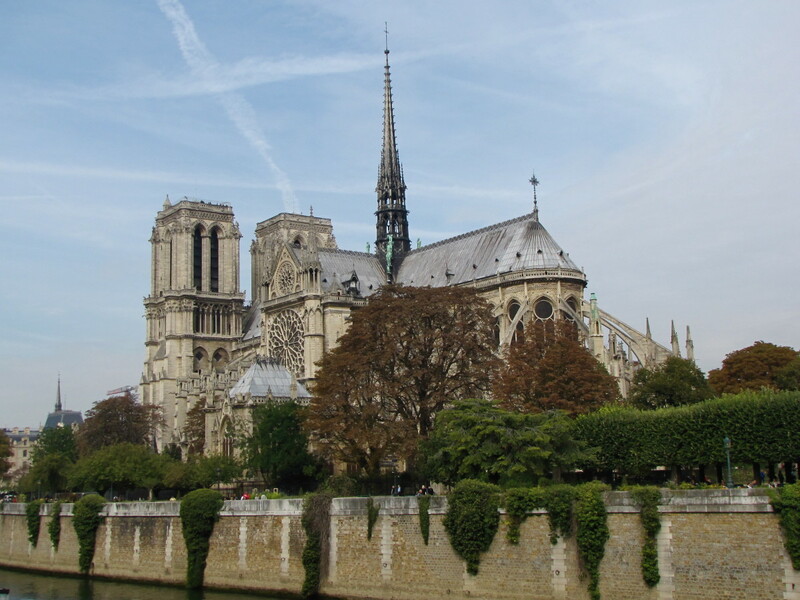 While France is home to it share of magnificent monuments, historic sites, museums and famous chateaux, there is one destination that really captured my imagination when I first learned of it. Sitting majestically just off the coast of Lower Normandy in the Gulf of Saint-Malo is one of the world’s most breath taking and memorable sites, Mont Saint-Michel. If a photo of this Gothic island-fortress-village-abbey does not stir your sense of imagination and adventure then it’s time to see your doctor. All it took was one photo of Mont Saint-Michel that I happened upon years ago and it quickly found itself a spot on my bucket list. 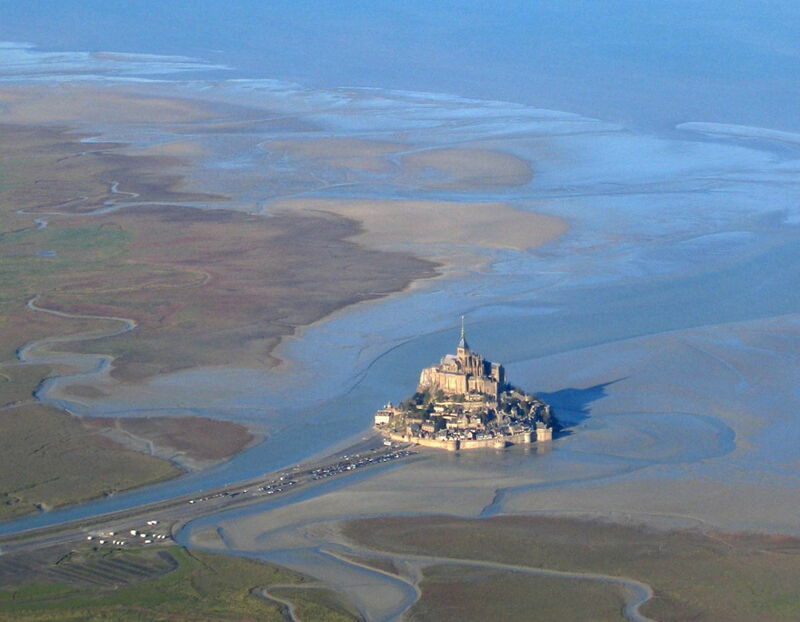 If I was going to visit France, then I would find a way to get to Mont Saint-Michel. 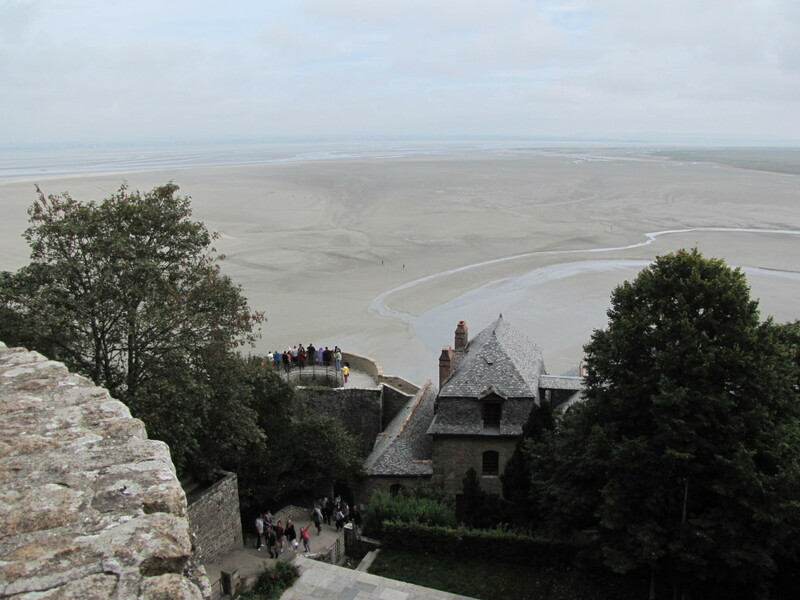 And so in the fall of 2014, with my wife and two other couples who have travelled extensively with us and share our common sense of adventure, we headed off to discover Mont Saint-Michel. This Romanesque and Gothic shrine that legend says was inspired by a visit from the Archangel Michael is now a well-deserved UNESCO World Heritage Site having been added in 1979. It receives upwards of three million visitors each year, which dwarfs its current population of just fifty residents. In October of 709 AD a small church was built on this rocky island by Saint Aubert, then the Bishop of Avranches. Legend holds that supposedly the Archangel Michel appeared to him in a vision and requested that he build a church on the island. In the 11th century the Benedictine monastery was constructed and over the next few centuries the abbey expanded and a small village at the base of the rocky island slowly took hold. Although home to just fifty residents the village has always had a commercial calling to it and visitors have flocked to the island for centuries. During its long history the island has served a number of different purposes including being used as a fortress during the Hundred Years War and as a prison during the French Revolution. 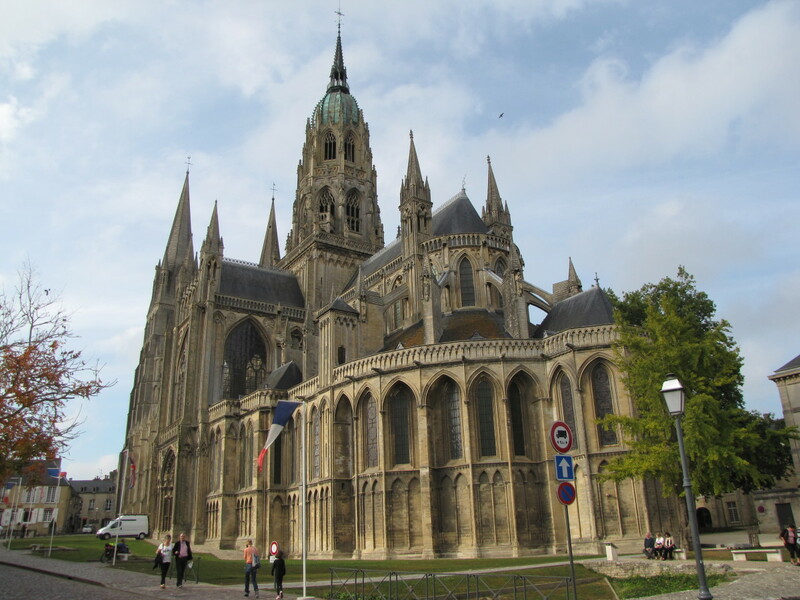 It has certainly withstood the test of time and the fact that the “rock” is pure granite has helped it to survive the harsh elements of the Normandy Coast for centuries. Abbey: A church or other building that is or was at one time part of a convent or monastery. 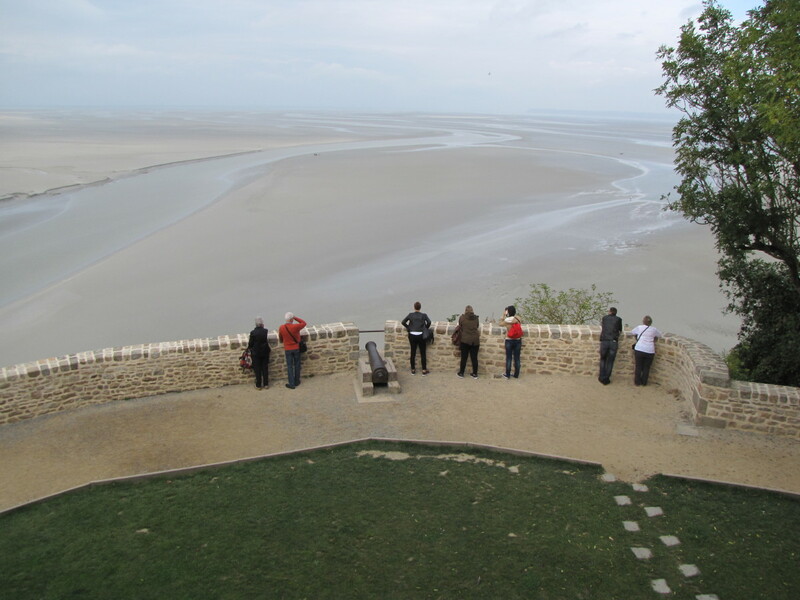 As you approach the community of Avranches on the mainland and the mouth of the Couesnon River you begin to get your first glimpse of Mont Saint-Michel, which is certainly an exciting moment. It sits one kilometer off the coast and at times the tide turns it into a true island. Rising majestically to over 300 feet above the sea the Mont is visible for miles in all directions. 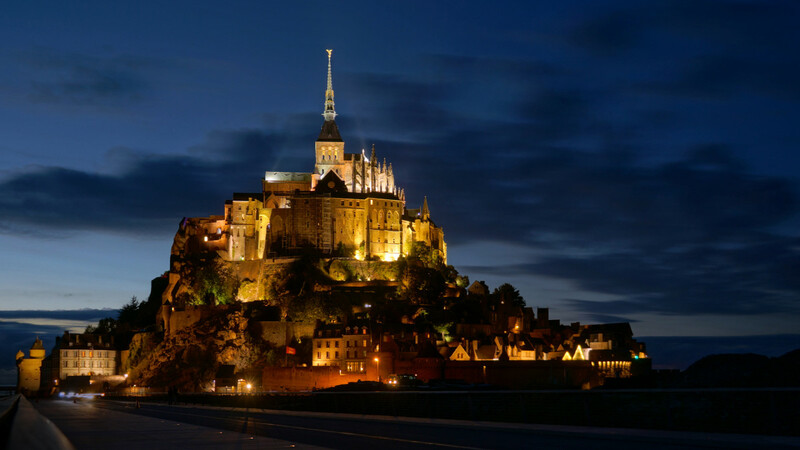 Resembling the medieval fortress that it once was, today Mont Saint-Michel is a curious mix of touristy shops and cafes that rises quickly and steeply up to the Abbey with its statue of Archangel Michael sitting prominently atop the spire. There was a time when you could park on the causeway that takes visitors to Mont Saint-Michel and simply meander over to the island. A new project, which was completed in 2014 has added a pedestrian footbridge and an elevated causeway for shuttle buses and service vehicles. The old causeway, which will be removed, interrupted the flow of water around the island during high tides and resulted in a buildup of silt from the river. 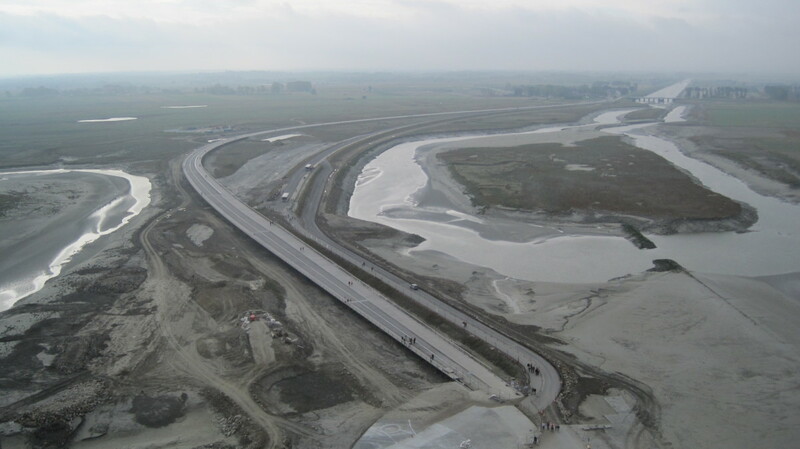 The new causeway will allow for the natural flow of water around the island. Along with the new causeway came the construction of a new visitor center and car park, which is located about 2.5 kilometers from the island. Here you can park for the day and take a shuttle bus to the island, or you can walk it you choose. We opted for the shuttle bus and in short order we found ourselves at the base of Mont Saint-Michel looking upward and thinking, wow, that’s going to be one heck of a climb. 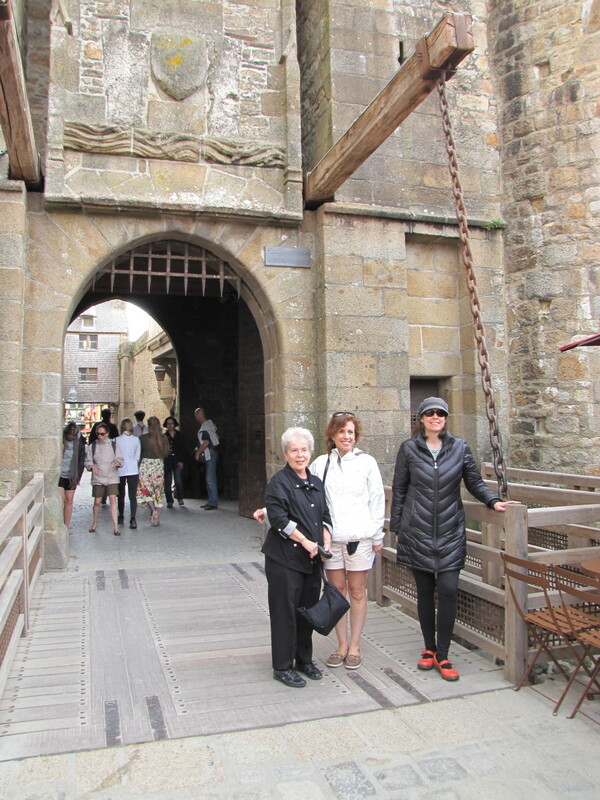 But, as we are always up for a challenge we crossed the drawbridge, straight out of medieval times, and headed through the Porte Du Boulevard into the heart of the Mont. The lower levels on the island are an interesting mix of souvenir shops, cafes and restaurants, museums, small hotels and other ancient looking buildings that are still a curiosity and a mystery to me. I presume that some of them are actually homes for the residents who live here. You really do get the impression that you are walking through a medieval village as you enter the fortified walls. As we intended to visit the abbey atop the island we followed what seemed like the only direction one could travel in and slowly headed upward along the Grande Rue (Main Street). 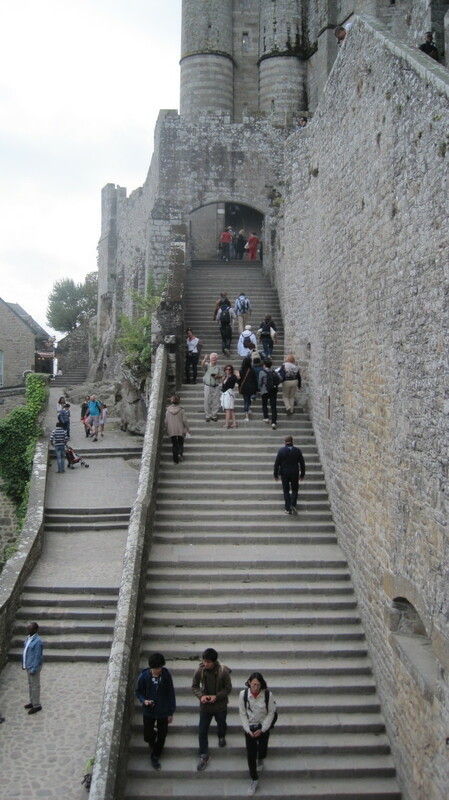 Eventually you will arrive at the Grande Degre, or the Grand Staircase that takes you to the Abbey. Don’t rush to get to the Abbey, the climb is steep and there are scenic lookouts along the way that provide a rest stop with the most amazing views in every direction. The higher you go the more spectacular the views get. 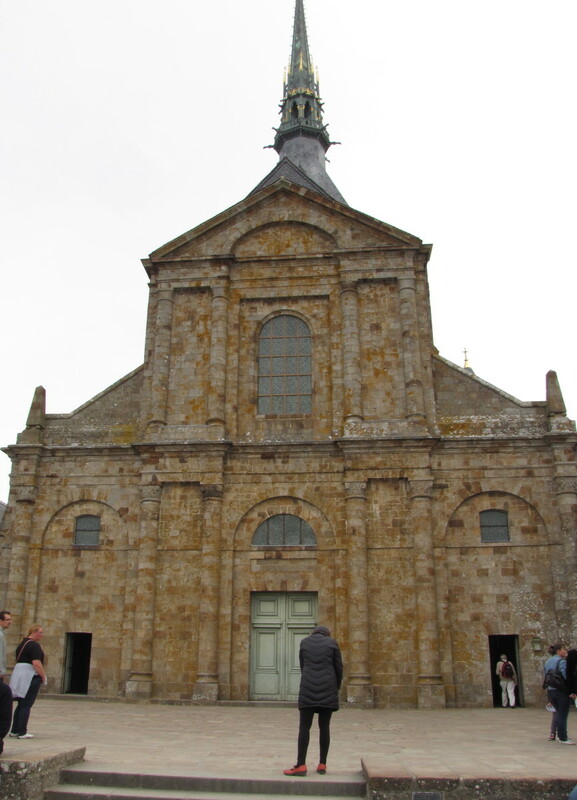 Along the way you will pass the four museums on the island and the Church of St. Pierre, which was constructed in the 15th century. 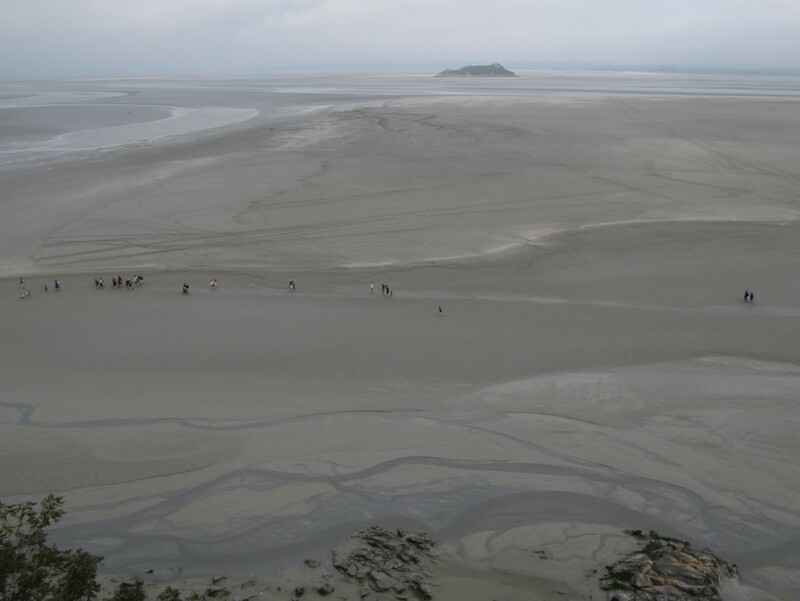 If you are visiting during low tide be sure to keep a lookout for groups out in the mud flats. This looked tempting but with a limited time schedule we decided to keep our shoes on and continued the climb to the abbey. 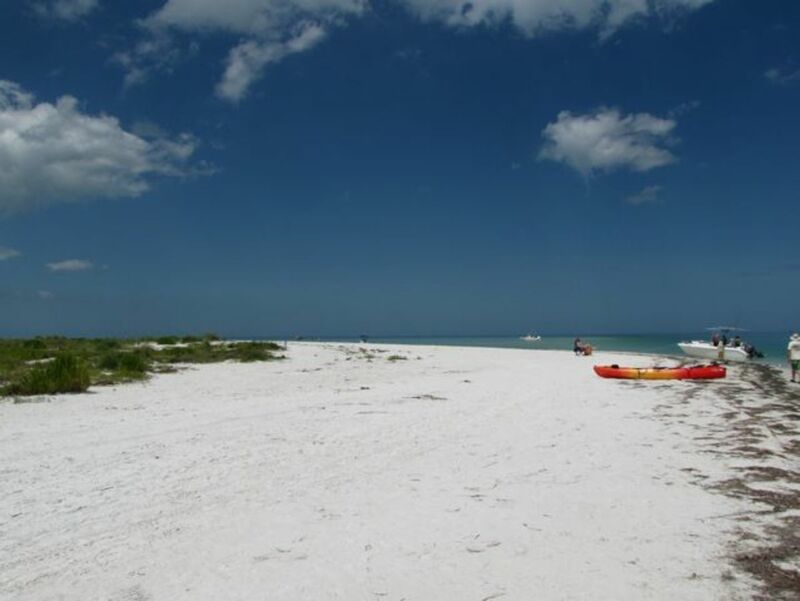 Should you decide to venture out into the mud flats you might be well advised to do so with a tour guide. At the very least please check the local tides as this area is subject to some of the highest and quickest tides throughout continental Europe. You do not want to have your feet stuck in the mud when the tide comes in and more than one tragedy has occurred here. Have you visited Mont Saint-Michel? If not would you be interested in visiting someday? From May 2nd - Aug 31st, the hours are 9am to 7pm with last admission at 6pm. From Sept 1st - April 30th, the hours are 9:30am to 6pm with last admission at 5pm. Under age 26 and citizen of European Union Country is free also. Mass is celebrated at 12:15pm from Tuesday to Saturday and on Sunday’s at 11:30am. Other masses are conducted at 7am during the week and at 8am on weekends. Your tour of the Abbey will take you through a maze of Gothic rooms and chambers and at times you may feel quite lost. But this is the sense of adventure and anticipation that makes it so appealing. Most of the Abbey is barren, which gives it that medieval, creepy feeling and the large rooms and fireplaces certainly stir the imagination. After touring the Abbey you will have a chance to spend some time on the terrace and visit the Abbey Church, which was constructed in the11th century. From the terrace you get a magnificent view of the French countryside and the bay, which stretches from the coast of Brittany to Normandy. It really is one of the most spectacular scenes that I have ever witnessed. From the terrace your journey will lead you to a quiet garden courtyard and cloister that is the perfect place to take a quick break. 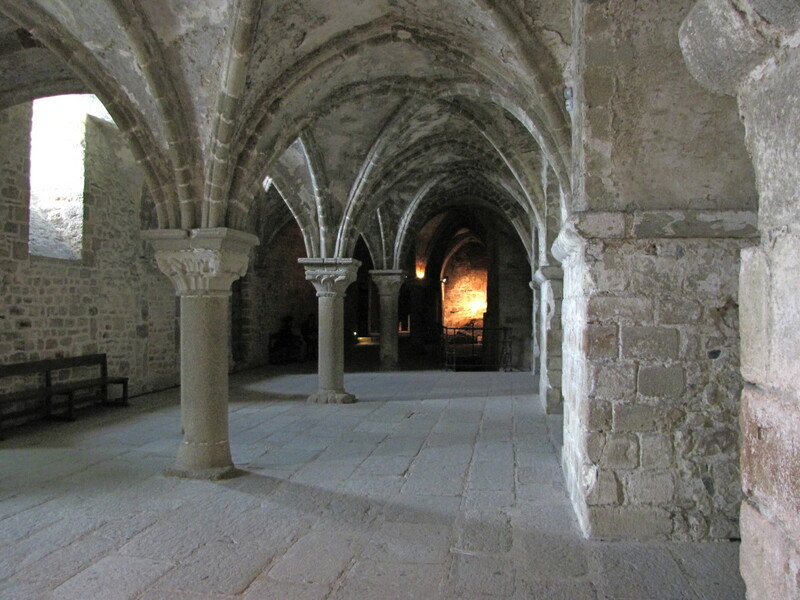 Most monasteries contain a cloister and this area is usually set aside for the monk's to mediate and reflect. It's hard to believe that there's actually a garden growing on top of this rocky island. 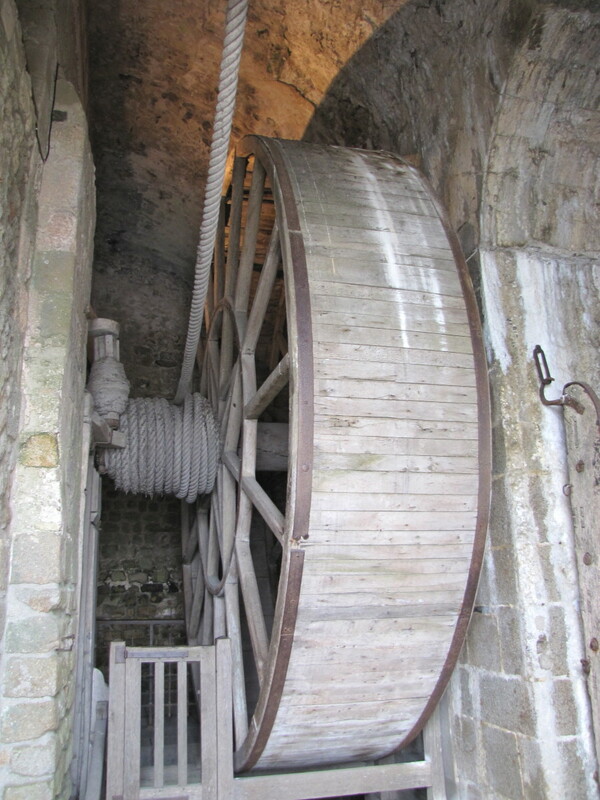 And if you’re wondering how on earth they managed to construct the Abbey atop this hunk of granite your tour will take you by the giant human powered wheel where six humans, presumably prisoners, would hamster-like turn the treaded wheel to haul material up to the top of the mount. It’s quite impressive. 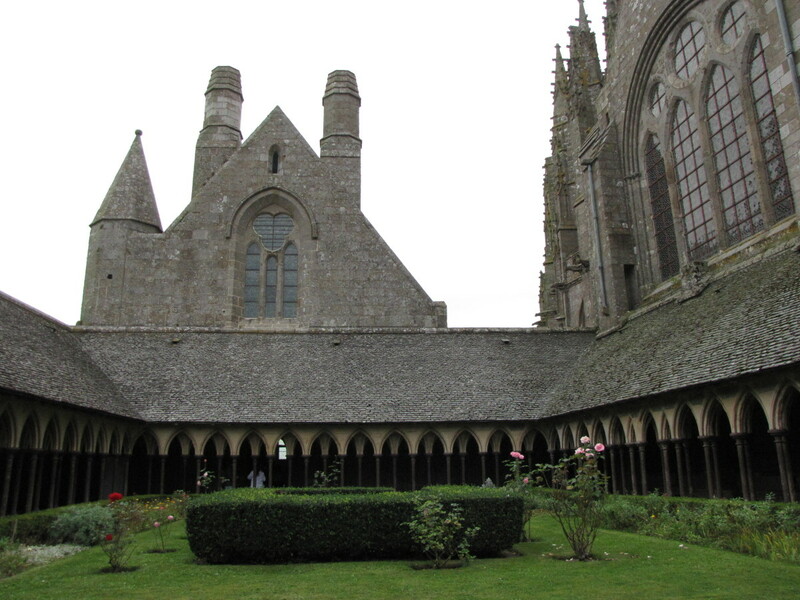 There are a number of museums on Mont Saint-Michel and although we did not have time to visit it appears that we did not miss much. 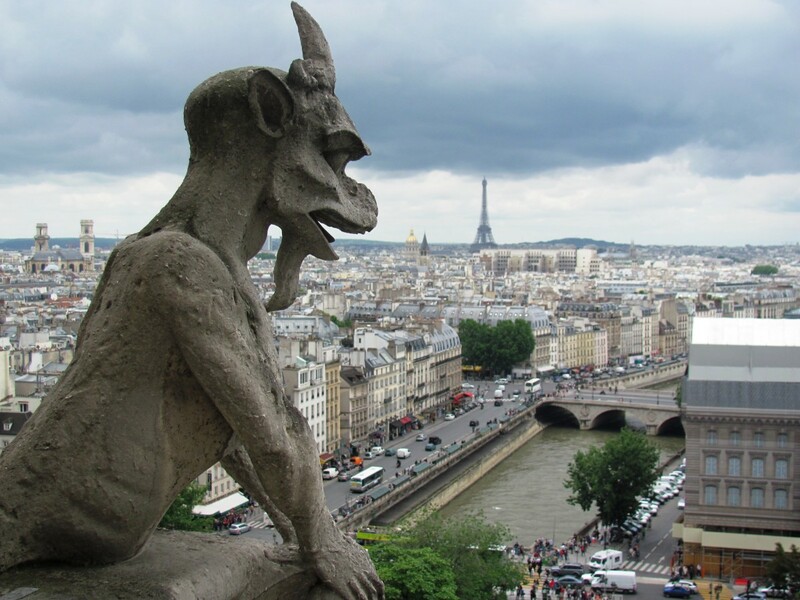 My research tells me that all of the museums are in French only and the reviews on them are so-so at best. 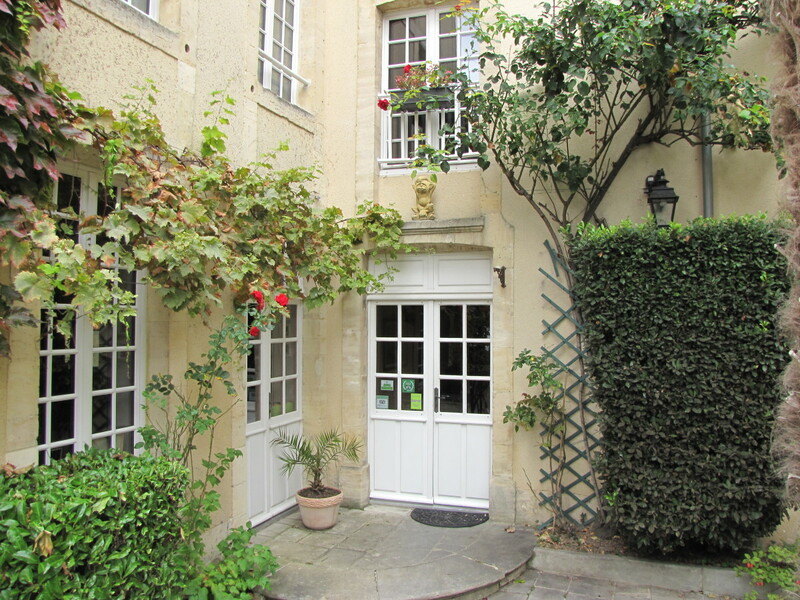 There are four museums: Archeoscope, Museum of History, Maritime and Ecology Museum and the Tiphaine’s House. The price for a single museum visit is 9 euro but you can visit all four of 18 euro. While this seems like a bargain make sure you have the time and interest to do this. 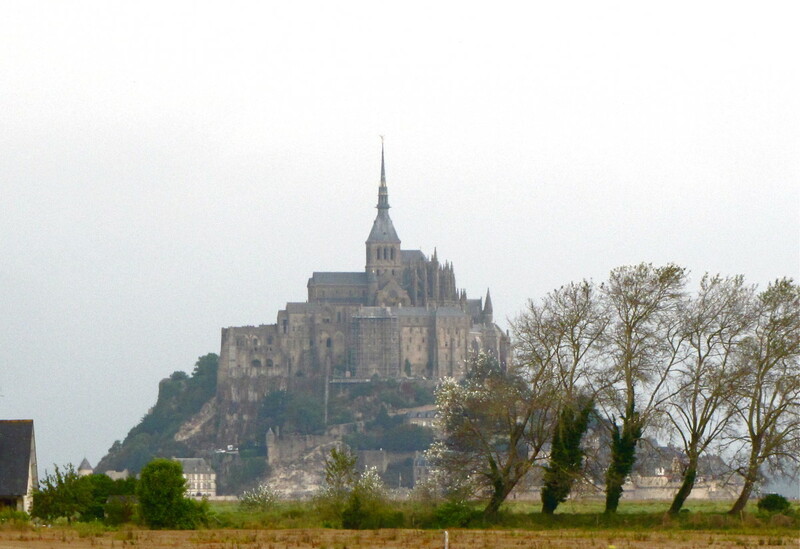 The real highlight of a visit to Mont Saint-Michel is the Abbey itself and the views. 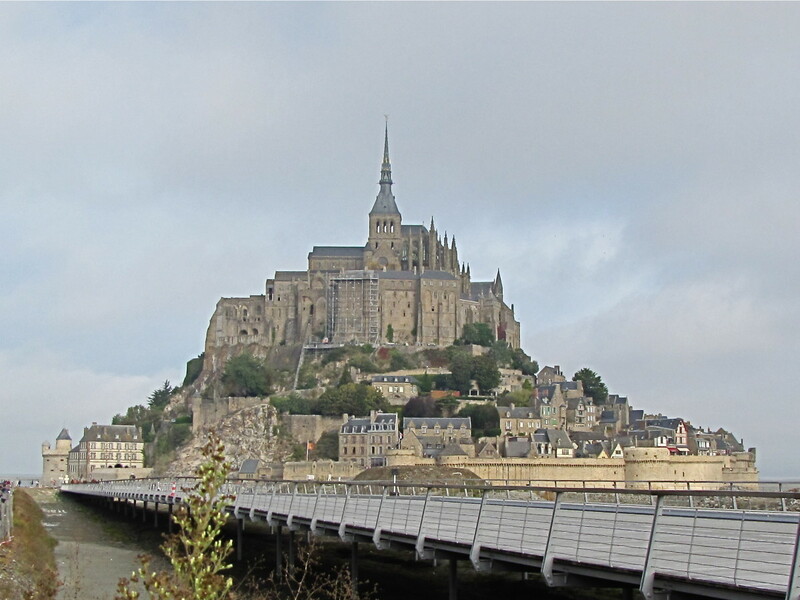 If you are visiting Normandy as part of a trip to France you would do well to include a stop at Mont Saint-Michel. This historical monument is worth the effort and trust-me when I tell you that you will never forget your visit to this incredible one of a kind destination. Whether you are there early in the day, during a tidal event, or at night when it’s all lite up this place will be ingrained in your memory forever. Just be sure to travel light when visiting as you will have to climb the rock to fully appreciate its monumental beauty. I hope you enjoyed this visit to one of the world’s most sacred and treasured sites, Mont Saint-Michel. 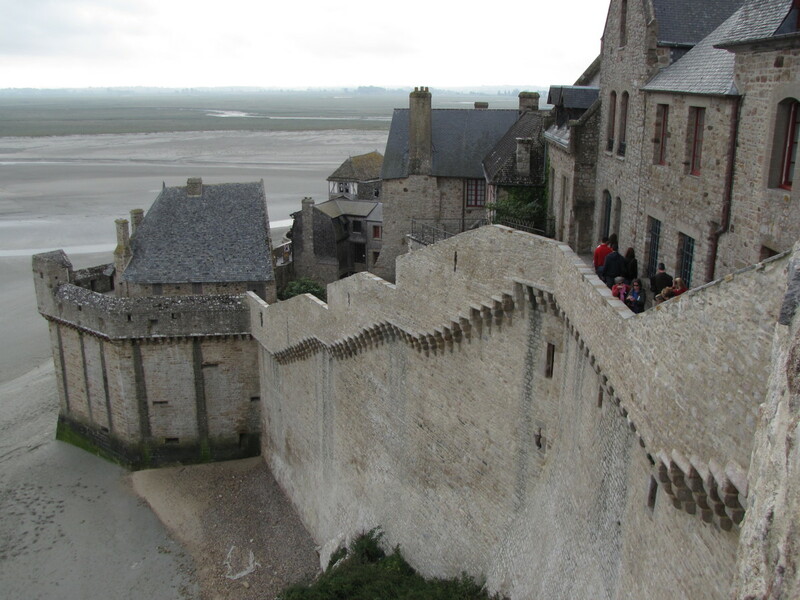 On March 21, 2015 thousands gathered to watch a super tide at Mont Saint-Michel. Hi Mary. MSM is quite an amazing place. Would love to return soon also. Thanks for stopping by, have a great day. It must be something to attend Mass in such an enchanting Abbey. It's time we go back to France. We haven't been for years now. Hi Alun. Thank you. The Mont is certainly unique. It's become a tad touristy but certainly worthy of a visit. Just seeing it rising from the bay is quite a site. The abbey atop the rock offers wonderful views and the history of this place is fascinating. I am sure it is a place you would enjoy. Thanks for stopping by, have a great day. Mont Saint-Michel must be one of the most spectacular and unique of destinations, and there cannot be many islands which are so dominated by one building in the way that this is. Apart from its religious significance, one can well understand, looking at your photos, why it has also served as a fortress and a prison. It would have been virtually impregnable in past centuries. Glad to hear it was designated a World Heritage Site. Hi Michelle. We had planned to visit MSM but it was still a wonderful surprise and experience for us. I would have loved to have stayed overnight on the island to experience it after the tourists leave. Perhaps next time? 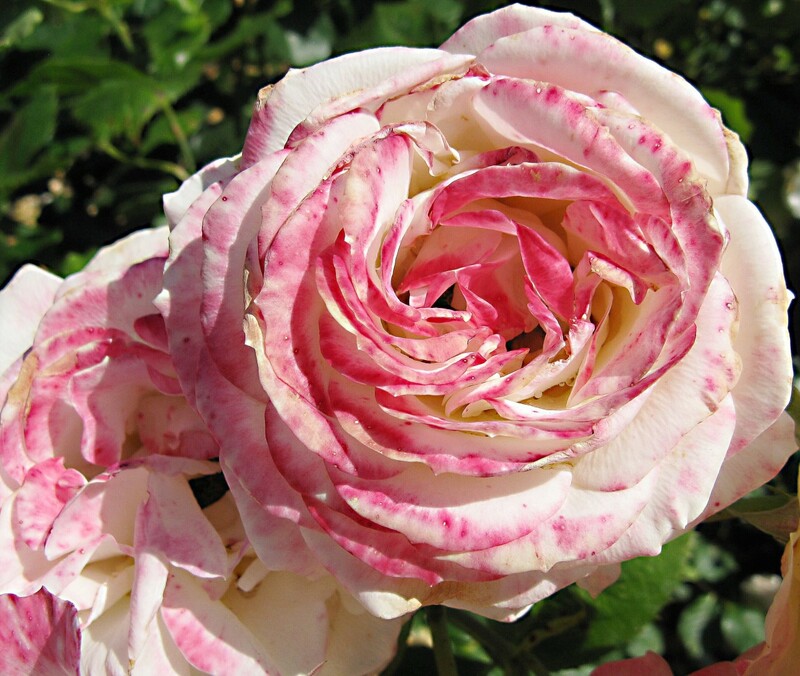 Thanks so much for stopping by and welcome to Hubpages. This is one of my favorite places in the world! I visited there last year. It was not planned and we kind of stumbled on it. It was such a wonderful surprise and unique experience! Thanks for such an informative hub on the history. Hi Jelena. Thanks for stopping by. MSM is such an amazing place. Even today when I look at the pictures I am in awe that they built this abbey in this location. Have a great day. Such beauty its so amazing how old buildings can bring awe to a person. I always wanted to go to France. Hi Glimmer. It does have a certain awe about it. Certainly unlike any place I have ever been to. We did have a great visit. I would love to return someday and spend the night there. I bet it's pretty amazing after dark and after all the tourists have left. How beautiful and I always thought Mont Saint Michel was rather romantic in a way. Looks like you had a wonderful visit. Hi Torri Lynn. Thank you. So glad you enjoyed the tour of Mont Saint-Michel. If you love to travel you would certainly enjoy this place. Thanks for stopping by and commenting, have a great day. beautiful hub that you have here. 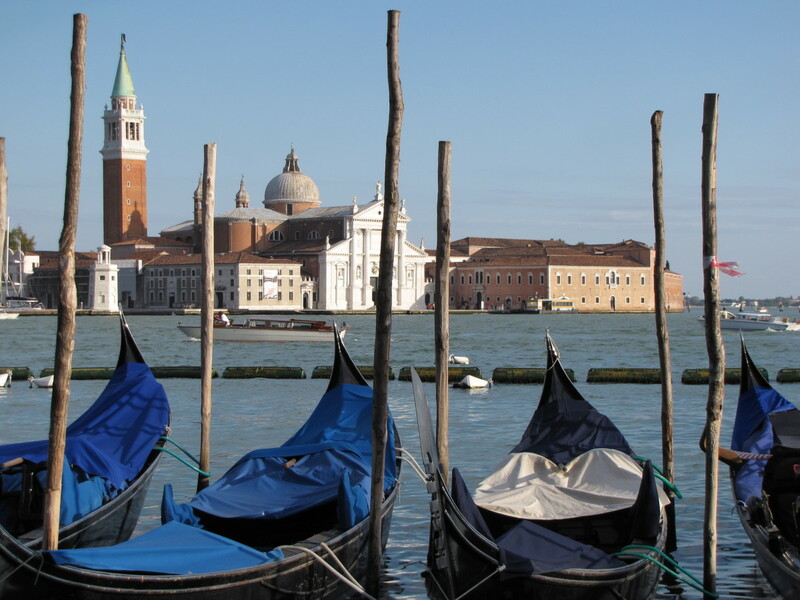 I really enjoy the pictures that you have posted and I just love to travel in general. I thank you for the tour of Mont-Saint Michel. I can't wait to read more from you. Best of wishes. My pleasure. You're an amazing tour guide. You're welcome Bill. I agree with you there. You're an amazing virtual tour guide. Thank you Kristen. It's an amazing place. Just incredible that they decided to build on this rock, of all places. Thanks for the vote, have a nice evening. Bill, once again, I love your French travelogues. I wish to visit France someday. This was so lovely and beautiful with your photos and insightful descriptions on the trip. Voted up! Hi Bill, my friend this is superb on every level. Your pics are outstanding and mix so well with your written words. I have never been to France, believe it or not but if we drive over to Italy we will be hitting near there by boat so have it pegged already! 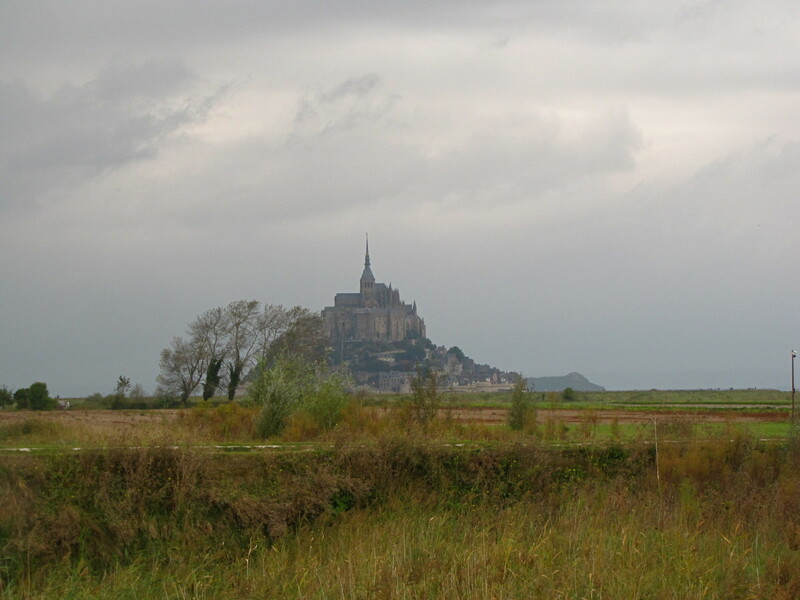 It is so worthy of its UNESCO spot, thanks for a wonderful journey and insight to Mont Saint Michele, il est magnifique! Hi amine. Thank you, glad you enjoyed the visit to MSM. It really is an amazing place, one of a kind. Thanks for stopping by, have a great day. Hey this place looks amazing , great hub. Hi Denise. Thank you. MSM is a very special place, hopefully you get there someday soon. Thanks for stopping by. A beautiful place, I'd love to visit someday! Thanks. Hi Anne. Oh my, that sounds like a wonderful experience. We thought about spending the night but it just didn't fit our busy schedule. I think it would be great to wander the island after all the tourists have left. How neat. Thanks for stopping by. Mont St Michel is truly a magical place, as your hub shows. I enjoyed staying there overnight, when most of the tourists were gone and we could wander the place at our leisure; it took on a whole new atmosphere. Thank you breakfastpop. So glad this brought back some great memories. I take it you have visited MSM? What a place is all I can say. Thanks again and have a great day. Thank You Linda. Glad you enjoyed the visit to Mont Saint Michel. It's quite a place. Have a wonderful day. Your wonderful hub brought back beautiful memories. Thank you. Voted up, interesting and awesome. This is a very interesting and enjoyable hub, Bill. What a wonderful place to visit! As always, thank you for sharing the information and the lovely photos. I love reading your travel hubs. Hi Flourish. Thank you. You are very well traveled, I'm still trying to find a place that you have not visited :). Sure wish we knew about the back way up. But, the climb was well worth the effort and the views are certainly incredible. I'm not sure pictures do MSM justice. It still boggles my mind that they picked this island to build an abbey. Thank you for the pin, vote, etc. Have a great week. Hi Linda. Thank you. This really is a remarkable place. If they are going to France and will be close they should go. This is one of those places that you will never forget. Report back and let me know if they make it there. We were lucky enough to have visited MSM and to have a tour guide point us up a not too well known back way that was not as bad of a climb. It had frequent rest places and we didn't have as many stairs. We were thankful. It is a beautiful place and you have certainly done it justice here. Voted up and more and pinning. Thank you Kelly. There is a lot of history to Mont Saint Michel and I probably could have written another 1000 words but didn't want this to be too long. I tried to get the right balance of history, the area, the visiting experience, etc.. Thanks for your input, glad you enjoyed it. Have a great day. Thanks Thief12. It really is a beautiful place and I hope someday you get to experience it. Thanks for stopping by, have a great day. great article. I like that you included the history and the pictures were very good. A thorough and enjoyable read, I feel as if I know everything I need to know after reading it. Looks like a beautiful place. Wish I could visit some day. Merci Bill. You take us to places we will probably never see in person. Your tours are wonderful and educational and your photos magnificent. How wonderful that you get to travel to all these wonderful places and share your journeys with us. Magnificent is the perfect adjective in your title for this place. The first picture of it in the distance, rising above everything else, is fantastic. Man alive I would love to see that place. Thank you for a small taste of this wonderful site, Bill. Hi Heidi. Thank you. This one definitely qualifies as an "amazing" place. I can't say I've ever seen any other place quite like it. It certainly was a once in a lifetime opportunity to visit. Thanks again and enjoy the weekend. Hi Sheila. Thank you. This was one of those places that I became somewhat obsessed with. Once we decided to visit France I knew I had to figure out how to work a visit to Mont St-Michel in. Happily it all worked out and I must say this place is other-worldly. Thanks so much for stopping by, have a great day. Oh my goodness! Even if I never get to these amazing places (though I hope to one day! ), your photos allow me to enjoy them from afar. Thank you for sharing your travels and your talents with us here on HP. Have a lovely weekend! What a beautiful place! I can certainly see why you added this to your "bucket list"! I will probably never make it there, although I would love to see it in person. Your pictures are so beautiful! I really enjoyed your hub and I think I may be a bit jealous! LOL Great job!